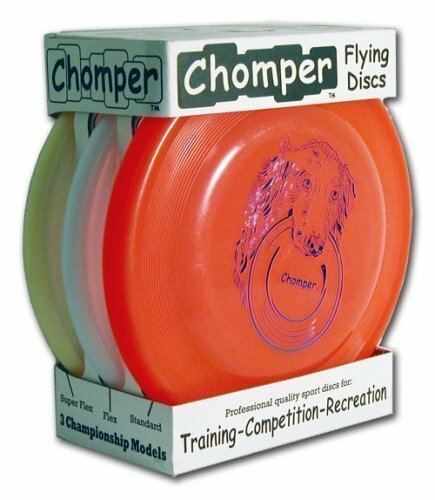 The Chomper Flying Disc Box Set 3-Pack includes one Standard, one Flex, and one Super Flex Chomper brand flying disc. These discs are perfect for training or competing but hey if you want to just go to the park and play with your K-9 these will work too. If you have any questions about this product by DTW, contact us by completing and submitting the form below. If you are looking for a specif part number, please include it with your message.